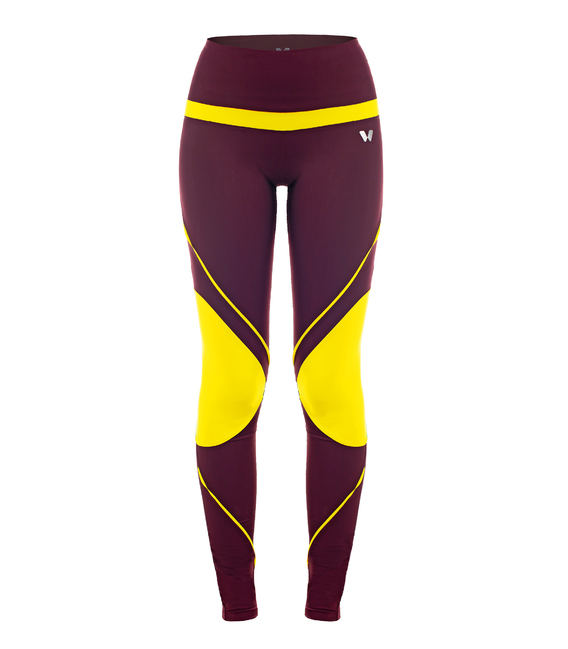 Sport leggings for woman in burdeos and yellow colors. 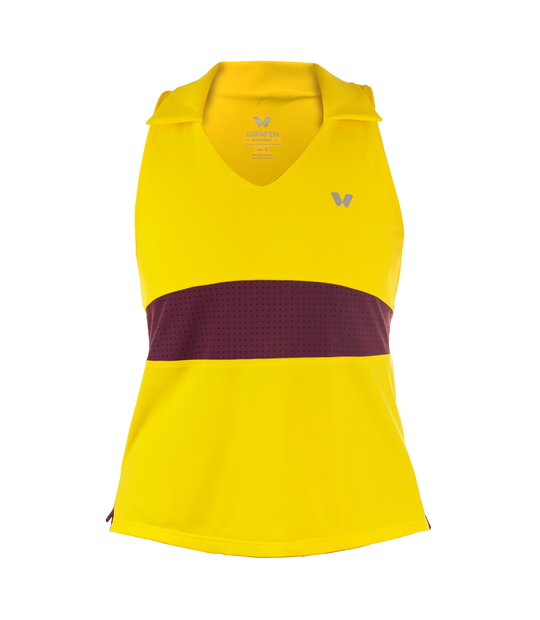 A game of vintage tones, inspired in 80's, which will give fashion style that you are looking for to you sports outfits. 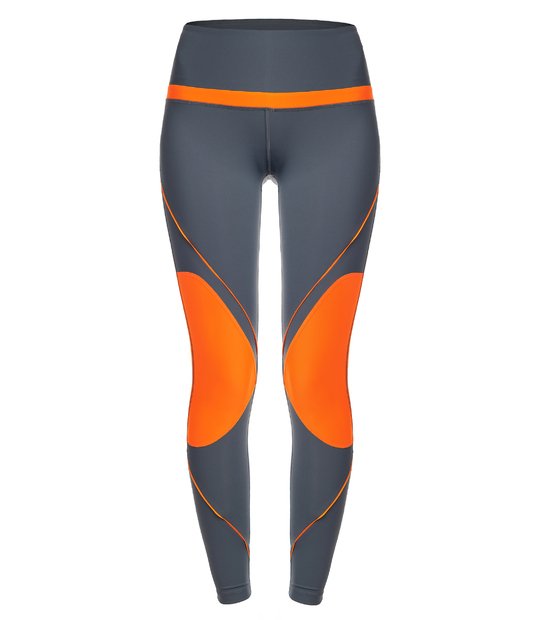 This sport leggings distinguish for its fabric lightness and ultra fast dry. When you wash it and take out to the washing machine, it will be almost dry. And the same in yous sport practice. 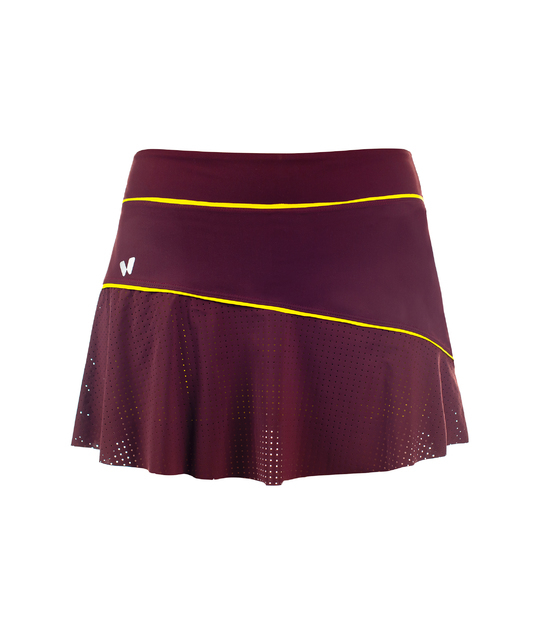 Forget about sweat in your garments. 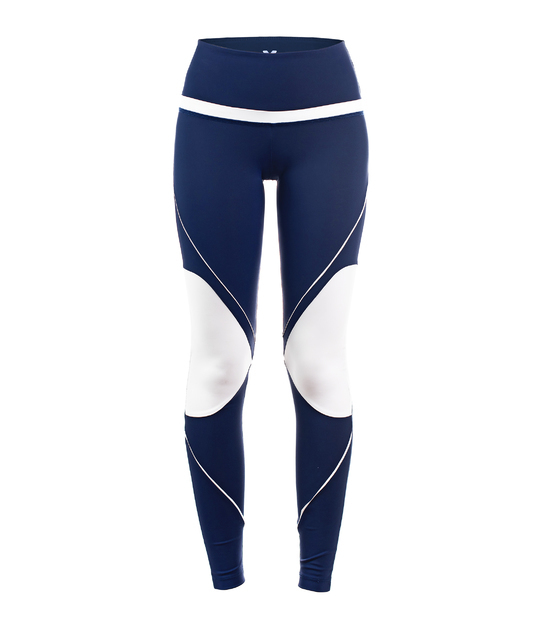 This legging have fast dry and anti-bacterian control, to eliminate odors. 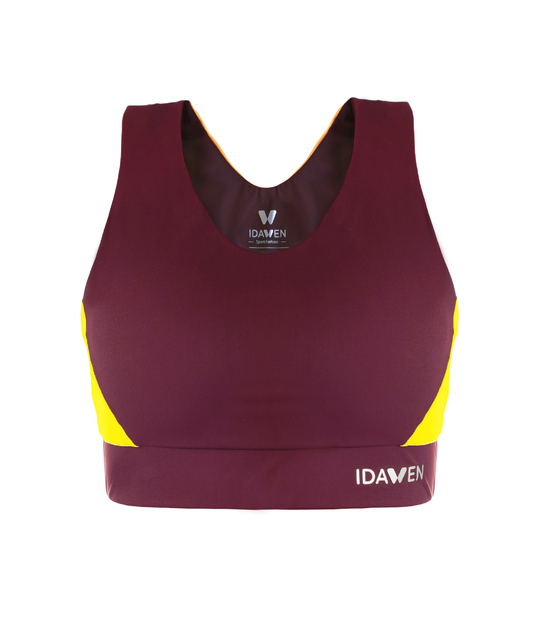 We highlight to, its compression and molding effect. 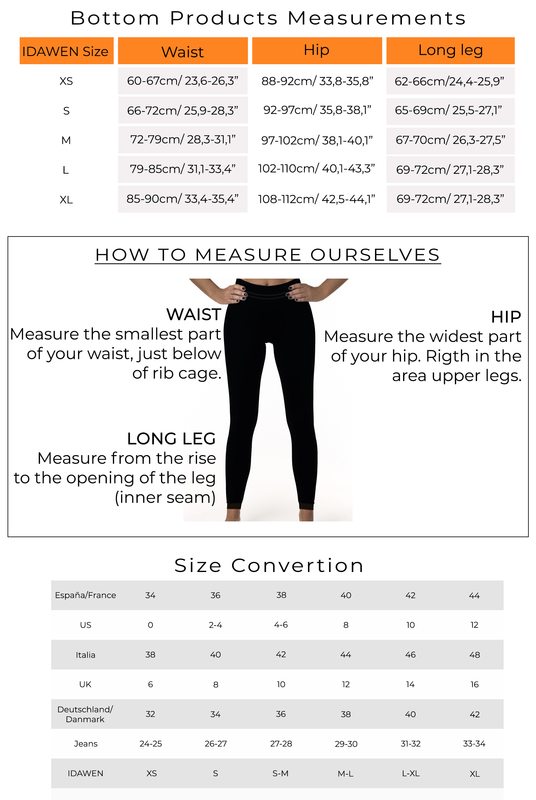 High waist favors in hips, waist and belly. 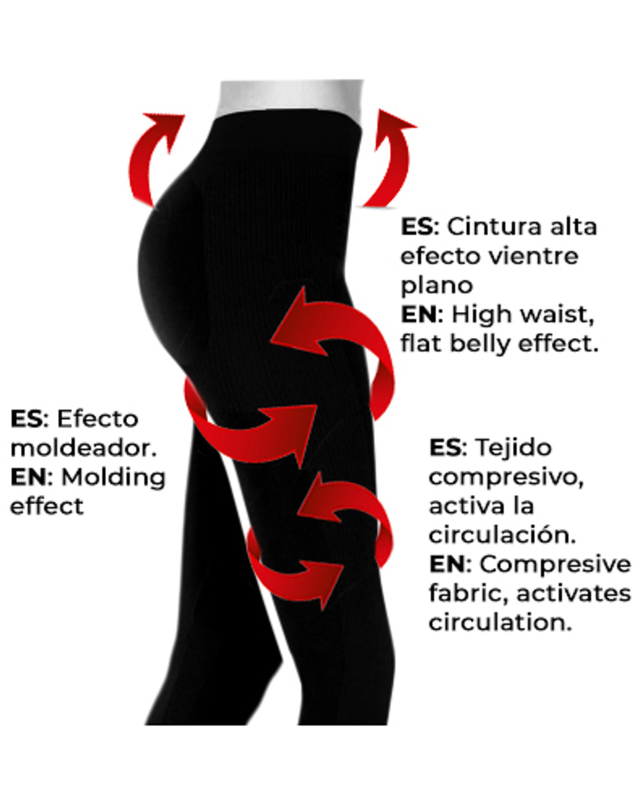 In the "ADVANTAGE" section you can read all the properties of this woman legging. Among them, we highliht: Quick dry, antipilling fabric, not transparent fabric.. 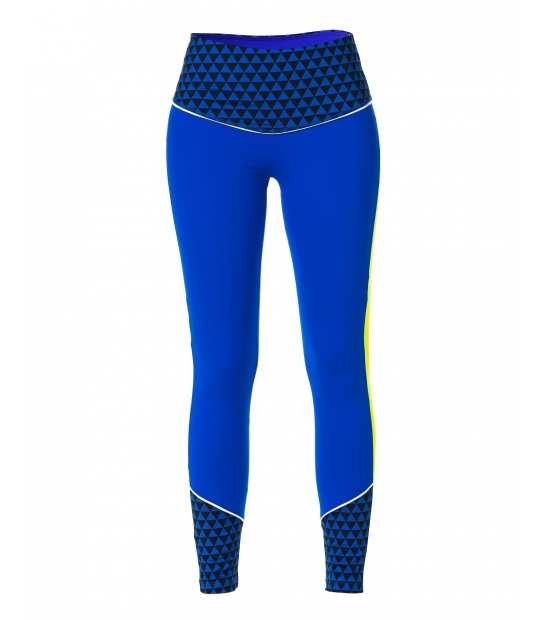 The Awen Burdeos Legging design, is inspired in the 80's. Both colors are so charateristic to this period. 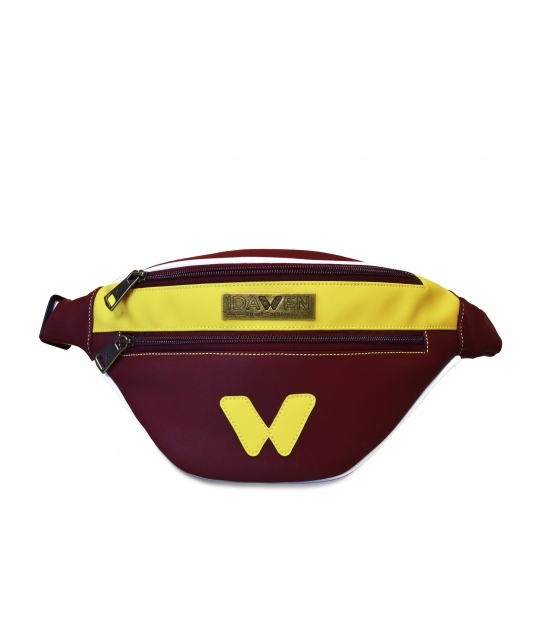 Burdeos and yellos are so elegant too. Besides that, this legging plays with the knees forms and with contrast pipings, giving him the sporty inspo that you are looking for. 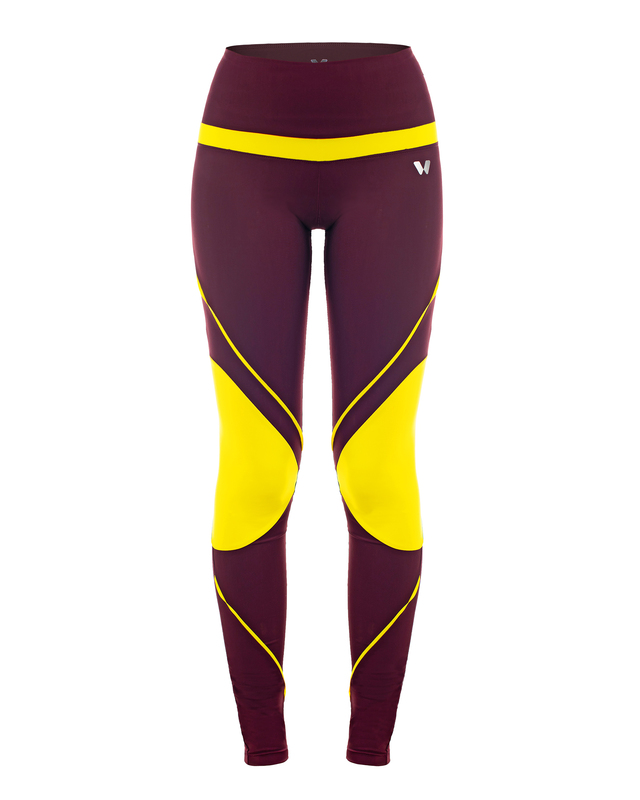 Designes in first quality fabrics, this leggings will be a piece of luxe in your wardrobe. Designed and made in Spain. (Galicia).